Just Add Polish: I'm in Dumbledore's Army! Hello friends, here we are again with another fun stamping plate from Lady Queen! 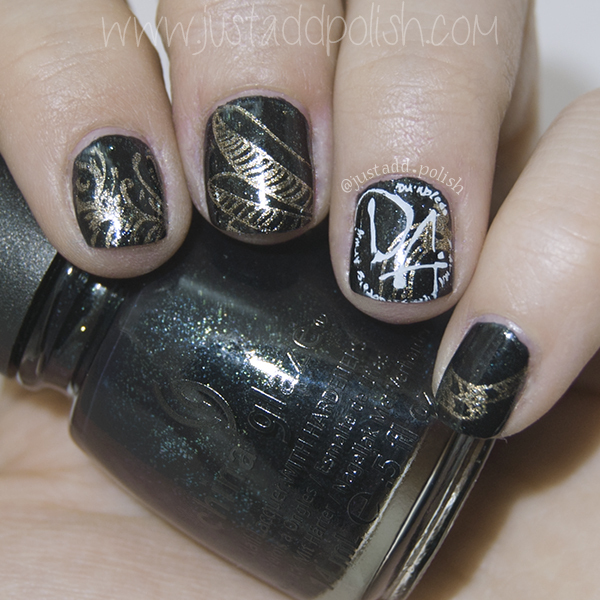 While doing this nail art, I realized how long it's been since I've read Harry Potter, and I want to again soooo badly now. But I have Game of Thrones to read! And school to attend! And house to clean! This plate was wonderful, as with the other plates from lady Queen. They are free from defects, bends, scratches, and all of the engravings are the perfect depth, size, and shape for stamping. I feel like a stamping pro with these. Accept part of 'Dumbledore' didn't transfer. Aw well. The phoenix is supposed to be read, and I played around with attempting to stamp him with a white/red mix. But gold just works so well.. The gold is Orly Luxe, and the base is China Glaze Smoke and Ashes. As always, the white stamp is Venique Wing Tip White. 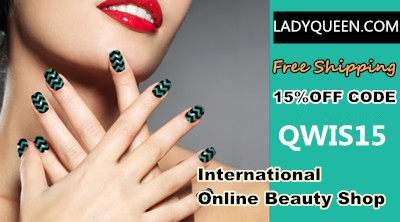 Please use my coupon code if you feel the need to buy any awesome things from lady queen. Lady Queen Review. Stamp plate hehe034 sent for honest review. Please see my disclosure policy here. Marilyn Monroe Water decals - She's so lovely! I have a koi pond!! !